I would like to read your work. Where should I start? I can’t wait for the sequel! How do I find out when your next book in my favorite series is available? What is your official policy on Fan Fiction (Fanfic)? I love your work, and want to spread the word about it! How do I join your Street Team? May I send you my book, story, or other work-in-progress to read, review, or critique? Would you publish my book though Norilana Books? Can I send it to you for consideration? Would you please provide an author quote or blurb endorsement for the cover jacket of my upcoming book? I love your book cover designs! I want to hire you to design my next ebook cover or paper print cover. How much do you charge? I would like to get an autographed copy of one of your books. How do I do that? Q: I would like to read your work. Where should I start? A: Great question, it depends. If you prefer immersive epic-scale fantasy reads with intricate worldbuilding and intense and sensual love stories, try Lords of Rainbow. 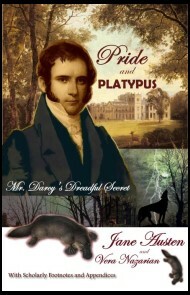 If you want belly-laugh humor, satire, sharp wit, and sweet romance in a historical context, try any of the novels in the Supernatural Jane Austen Series. If you like high-octane dystopian teen / YA apocalyptic adventure science fiction in the vein of Divergent or The Hunger Games, try The Atlantis Grail Series. If you enjoy more traditional science fiction, try After the Sundial. 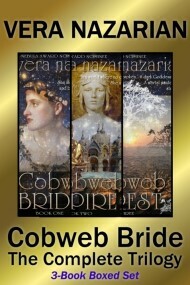 If you like fantasy, myth, legend, and fairy tales, try Dreams of the Compass Rose or Salt of the Air, or for a historical myth variation, try Cobweb Bride. For an inspirational exercise in philosophy, thought, and creativity, try The Perpetual Calendar of Inspiration. For contemporary snark and humor, try Vampires are from Venus, Werewolves are from Mars. Q: I can’t wait for the sequel! How do I find out when your next book in my favorite series is available? A: Easy answer — subscribe to the Mailing List to get advance notifications of all my upcoming book releases, and other important insider-only information. And for news of Cobweb Bride releases, there’s a special dedicated Cobweb Bride Mailing List. As soon as the books are released, you will be the first to know! Q: What is your official policy on Fan Fiction (Fanfic)? A: I am absolutely honored and pleased that you are enjoying my characters, stories, and books so much that you are inspired by them to want to write a fanfic. It really is a genuine joy and compliment for an author to find out their work touched the readers so much that they want to actively participate in it and explore it further! Don’t try to make money from it in any way (such as try to sell your fanfic story online, or otherwise illegally profit from my hard work — you may not do this since it is both unethical and against the law). Finally, I do ask you hold off a little and wait before posting any fanfic anywhere online, until more of the books in that particular series are published (at least two books should be enough), or the series is close to complete. After that, go for it! And thanks so much for being honorable and classy enough to care to ask! Q: I love your work, and want to spread the word about it! How do I join your Street Team? A: Stay tuned! I will have a web page set up with more information on the Street Team, coming soon! Please check this space later! Meanwhile, come on down to The Atlantis Grail Fan Forum, for exciting discussions of this series with other fans! Q: May I send you my book, story, or other work-in-progress to read, review, or critique? A: I am sorry, no. I am overworked, and my policy is not to critique the work of people I don’t know. As a general rule I also do not review the works of other authors in similar genres, due to a possible conflict of interest. Q: Would you publish my book though Norilana Books? Can I send it to you for consideration? A: Sorry, no. Norilana Books is permanently closed to submissions. Anything you send will be ignored, returned unopened, or discarded. To reiterate, this is a firm “no.” Feel free to check the publisher website for status updates, but this is not going to change. Q: Would you please provide an author quote or blurb endorsement for the cover jacket of my upcoming book? A: I don’t know if I can. It depends on my time availability, and whether or not I honestly like your work. However, feel free to ask me, and I will give you a specific answer, on a case by case basis. Q: I love your book cover designs! I want to hire you to design my next ebook cover or paper print cover. How much do you charge? Q: I would like to get an autographed copy of one of your books. How do I do that? Vera I hope you get this. I am hooked on the Atlantis two. Please I need more. I’m now a huge fan. I guess age doesn’t matter at 67 I am enthralled. Please write more of the Atlantis series. And let me know please. Thank you so much for your lovely comments! 🙂 So glad you like! There will be two more big books in the series (plus several shorter novella outtakes), and WIN, book three is coming on February 14, 2016, Valentine’s Day. WOW! What a great story and fun read. I could hardly put it down from start to finish! I truely enjoyed it! Can’t wait to read the next volumne “Complete”. Love your style and imagination. At my age (61) you wouldn’t think a story like this would appeal to me. Your character’s are captivating! You cross the age/gender lines in flying colors. Thanks for taking me on such a fun fantsy ride! And WIN, book three is coming soon! Right I am a 49 yr old speed reader, I learnt to read at 2 as my Mum was at her wits end with me. So I tend to go through books an awful lot. With regards to the Atlantis Grail series ( which I call Imperator), WOW what a read!!!! and I went back and re-read books one and 2 straight after! I am now in the unfortunate position of having to wait for books 3 and 4, and the rest, which is seriously Trying!! !I haven’t spotted and grammatical or spelling mistakes in these books and your copy and proof readers are doing a fabulous job! (And if its just you then well done that lady! Its really one of my bug bears with ebooks!) I read ebooks due to mobility issues, and am now at the point of begging and pleading for an early release of Win, I’ll even pay extra!! !Its an all round fantastically written piece of work, the concepts are good and well balanced, and even though its based on a teenager, and I am nowhere near a teenager, its a thoroughly enthralling read, I find that for the past 3 days I am wondering about Gwen, Kass, George most of all, and what on earth is going to happen now, which a book has rarely done for such a long time, Well done a stunning book/series I will go back to time and time again, but please hurry up and put me out of my misery!!!!! So I am writing WIN, the third book, as fast as I can right now, and hope to have it for you soon. I’m not sure if you’ll ever see this message but I just had to let you know that I’m a huge fan of your writing. I recently finished Cobweb bride trilogy and they were absolutely phenomenal! The story line was so detailed and the characters are so interesting, I enjoyed reading it very much and I will make sure to recommend it to everyone I know! And as someone who hopes to be an author myself one day, you are a huge inspiration to me. I look forward to reading more of your work in the future! As an avid reader it is always difficult to find new material, but I stumbled upon the Atlantis Grail series recently and I am so glad I did – I’m hooked! Thank you so much for writing these incredible books, I’m in a constant state of tension now waiting for the next chapters of Win! Although I thoroughly enjoyed Qualify and Compete, I can’t help but wonder what happened to some of the other characters that Gwen met, particularly in the RQC such as Claudia and Jai. When you have finished the series, will you write an index stating what happened to these secondary characters? I have completely fallen in love with this series! I cannot wait for the next books to come out! I cannot remember the last time I have enjoyed a series this much and have been recommending it to all of my friends. I cannot get this series out of my mind and am eagerly waiting the release of Win! It has been a while since I was engaged in a story line as I am with the Atlantis Grail series. I am anxiously awaiting the next book to arrive. In the meantime I know you have said that your health is poor right now and I am lifting you up with prayers for a complete recovery. May God bless you with restored health. ge definitely doesn’t matter! I just discovered your work via The Atlantis Grail and now I am a 71 year old addict! The series is amazing – please keep it going as your health permits. I am also sending out healing thoughts and prayers to you. Thank you for sharing your wonderful talen with us all! I am contacting you on behalf of Dr. Nicola Davies, a psychologist and writer at www.trustedwriter.com (LinkedIn https://uk.linkedin.com/in/dr-nicola-davies-2924a733). She is currently developing an anorexia workbook. I am seeking permission to use the below quote. We would, of course, acknowledge you as the source. Your assistance would be greatly appreciated. If you have any questions, please do contact me. Thanks so much. Thank you for asking. Yes, you have my permission to use the quote, with proper attribution. Good luck with the project! I HAVE EXPERIENCED UTTER AND COMPLETE EMOTIONAL TORMENT. I just finished a book so amazingly stunning that I have been shaking and breathing laboriously (in betwixt muffled shouts of joy) in shock for the past 8 minutes. The complexity of my current state of mind is insanely wonderful. The effects of this piece of literature are horrible and I love it. I can barely compose myself. I just completed the second book of The Atlantis Grail series (Compete) and I think- no. I *know* that I have found the best books I have ever come across. First I want to say thank you for the awesome series that is The Atlantis Grail. I read the first two books in about two and a half days. Then I went and read the preview chapters of WIN. I am on pins and needles waiting for WIN to come out. I also want to say that you are such an inspiration to me. I have a chronic illness called Occipital Neuralgia. This means that I have nerve pain along the occipital nerve in my head. I am now no longer working because of this. Seeing you still doing what you love while dealing with medical issues gives me hope. Thank you so much. You are very kind in responding to your readers. I felt compelled to thank you for this here. Many authors are publicly annoyed by constant requests for release dates (eg, Patrick Rothfuss). I fully understand, honestly; this is an art form and you cannot force the words, especially when (as in his case) one is a known to have periods of writers block and tends to come off a bit grumpy when it’s brought up often. To continue with Rothfuss, he is a fantastic writer, but his trilogy has been going on for SO LONG (book #2 came out in early 2011 and he’s pretty hostile when asked when we can expect book #3. People many times forget authors are people with lives not involving their particular desire to read the next book in their series AS SOON AS POSSIBLE. I bring him up specifically not to pick on him (in fact, I wish people would leave him alone), but to say, you are the complete opposite and seem to handle these inquiries with grace, especially considering your health issues. I wanted to say thank you, in addition for your books, but also very much for you kind attitude. I see you as the anti-Rothfuss in many ways for your previously stated graciousness in the face of writing long and involved sci-fi/fantasy epics such as your current series. I love your books and will look forward to the final “major” release for this series. I have a serious, chronic back issue myself and I work full-time as a scientist, so I can empathize with your pain. Thank you for giving us your wonderful imagination through your books and I wish you well with your health. Hi Vera! I’m an Italian student and an addicted to books… I was wondering around trying to find something new and appealing and I “accidentally” stumbled into Qualify. I couldn’t put it down! I devoured Compete and Win in two days reading almost the whole time… and now I can’t wait to read Survive! It’s amasingly appealing, full of surprises and the characters and the complexity of the background and their personality are awesome! I hope, as a famished reader, for Survive to be out soon! Thanks so much, so glad you enjoyed the books! Hello! I am literally a big fan of the Atlantis Grail series. Its and awesome series!!!! I just finished the first book – Qualify and couldn’t stop reading it. I finished it in 2 days!!!! Please write more books!! Excepting the novellas, will there be more than 4 books? Please say yes. Excepting the novellas, will there be more than 4 complete books? I’m hoping yes. I saw that Survive is the last. So sad. Do you think you will write from Aeson’s point of view? I would love to know what he is thinking while everything is going on in the books. Just wondering! I’ve read all 3 books and loved them! Can’t wait for book 4! Thank you! I very excited! Can’t wait!! Hi Vera! You’re books are awesome! I have finished reading the Quality, Compete, Win and the first 5 chapters of survive! These books are awesome, heart breaking, romantic and creative. 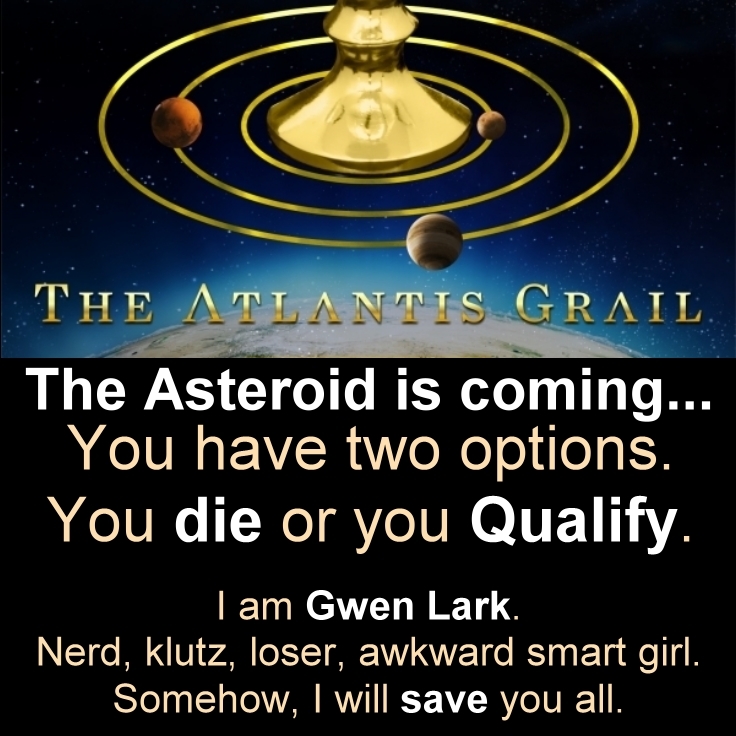 Gwen Lark’s travel to Atlantis and participation in the Atlantis grail with the romantic love from Aeson is fabulous and awesome! I am really waiting for the 4th book to finish and get published! You’re books are really wonderful!!!!!! Meanwhile, I really hope you would get better without the handpain to write your last book beautifully and creatively!! Your books are my favourite and I give you my wishes to get this book on top of the world! After reading each book I couldn’t stop dreaming about it! I am really looking forward to read your wonderful and thrilling book! I hope your health gets better.. I am very excited to find out and thanks for giving everyone the first 5 chapters of SURVIVE!! I love your books and just saw that they have been accepted to be a movie or television series. I am an elementary school teacher, actor, and singer. I would love to play Gwen! Could you get me an audition? I so strongly identify with her character and I’m yong so I could play her well. Thanks and I can’t wait for the next book! Thanks, but looks like I am going to need to post a new FAQ Q/A now, to answer everyone who wants to be in the movie — sorry, no, it’s all out of my hands. So, no. With the potential for a movie do you think the books will get audiobook versions now? Will you be releasing any more chapters of “Survive” On Wattpad? I enjoyed listening to the chapters you read on YouTube, but with my reduced hearing, was not able to understand several parts. The closed captioning was horrible, with all sorts of weird words coming up. I would love to be able to read these chapters to get the full version of those chapters. Thank you, and yes, of course, they will be on Wattpad eventually. I love the Atlantis Grail sooooo much. I love that the books are long and I feel satisfied that it is never going to end. This is the best book I have ever read and love it. I literally think about the story all the time and you are so creative and thoughtful. I literally cannootttttt wait for survive to come out. I check the progress everyday. Congratulations for all the awards and for being accepted on television. You worked so hard and the books were amazing and you totally deserve it. You inspired me to start writing. I cannot stop dreaming and imagining every scene and no book has ever had such an impact one me. Are you planning on writing a new series. That would be my dream come true!!! !